Buckle your seat belt. 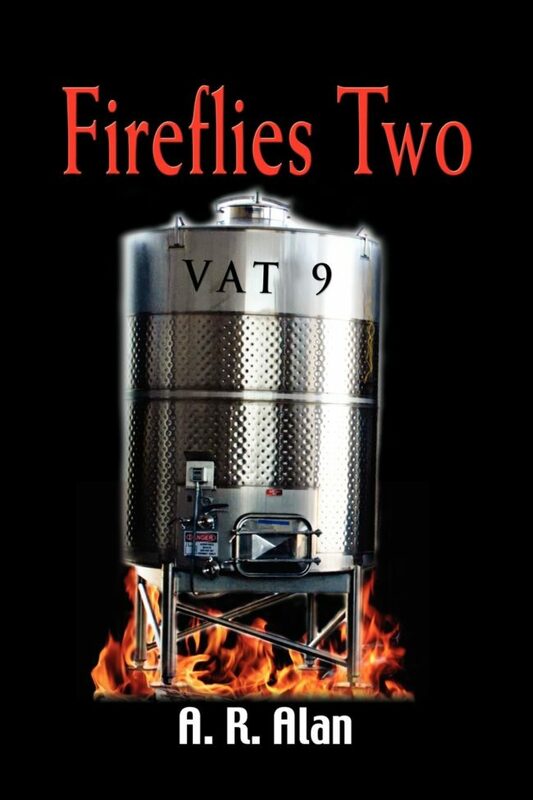 You’re in for a wild ride in Fireflies Two-Vat 9. In this sequel to Fireflies, A.R. 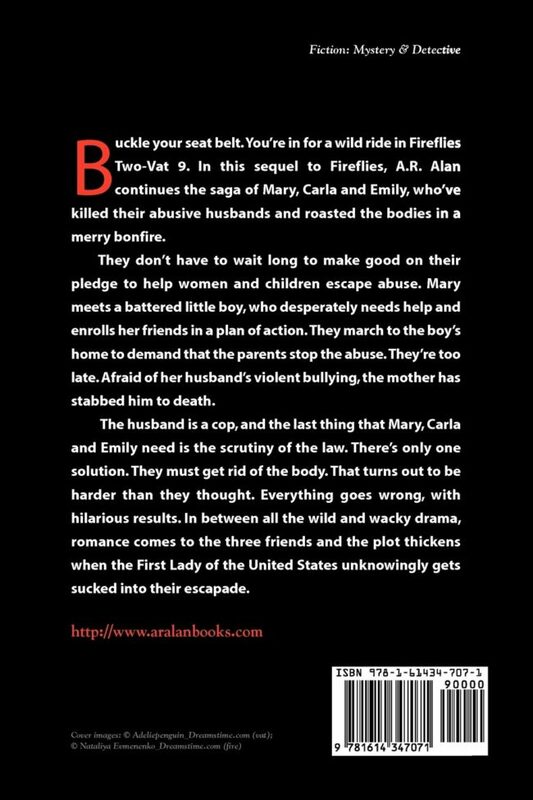 Alan continues the saga of Mary, Carla, and Emily, who’ve killed their abusive husbands and roasted the bodies in a merry bonfire. They don’t have to wait long to make good on their pledge to help women and children escape abuse. Mary meets a battered little boy, who desperately needs help and enrolls her friends in a plan of action. They march to the boy’s home to demand the parents stop the abuse. They’re too late. Afraid of her husband’s violent bullying, the mother has stabbed him to death. The husband is a cop, and the last thing that Mary, Carla, and Emily need is the scrutiny of the law. There’s only one solution. They must get rid of the body. That turns out to be harder than they thought. Everything goes wrong, with hilarious results. In between all the wild and wacky drama, romance comes to the three friends and the plot thickens when the First Lady of the United States unknowingly gets sucked into their escapades.